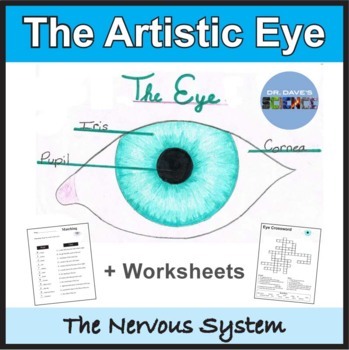 An integrated art project where students draw and color their own version of an eye. The iris, pupil and cornea can be represented in this model of an eye. Even students who consider themselves “artistically challenged” will be able to create an attractive version of an eye! A grading rubric on a 4pt scale is included. Also provided are two different versions of a 13 clue crossword puzzle. 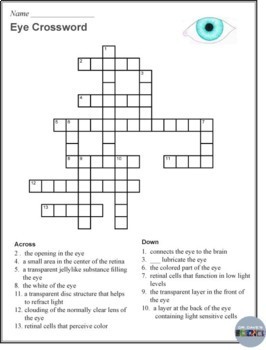 The crossword is included with and without a word bank which allow you to differentiate. 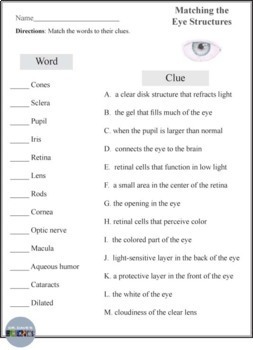 Eye structure vocabulary words listed below are included in the puzzles. Great for review and makes for a good homework assignment a day or two before a quiz! Answer key included. 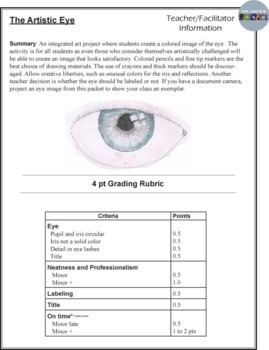 In addition, an eye structure matching worksheet is also provided. This could be used as a homework assignment or as a quick formal assessment. Answer key included.